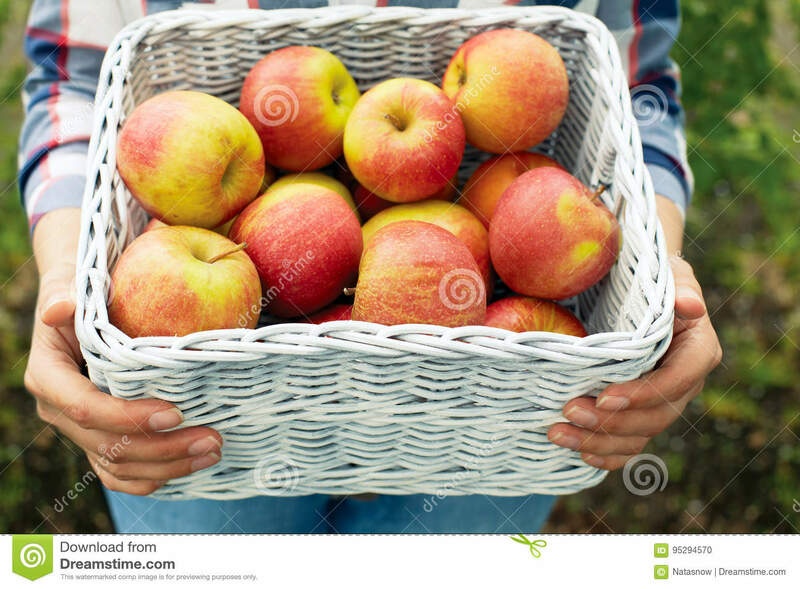 Man holding a wicker basket of ripe apples. Close, farm. 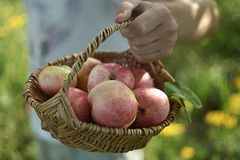 Man holding a wicker basket in his hand close up A bearded man on a green meadow throws apples out of basket on a background the solar natural background Mid section of woman holding apples in wicker basket Good mood Girl holding harvested apples in a wicker basket. 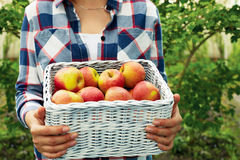 Composite image of mid section of woman holding apples in wicker basket Apple Harvest Anonumys women holding in hands a wicker basket full of vegetables in his garden. 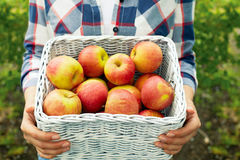 Organic food concept. 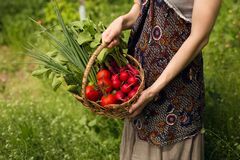 Woman hands with straw bag.